The 6000 horsepower JABBAR is equipped with 100-ton pilot-house controlled bow winches. The Kort nozzles and flanking rudders provide the maximum thrust with total control and maneuverability. 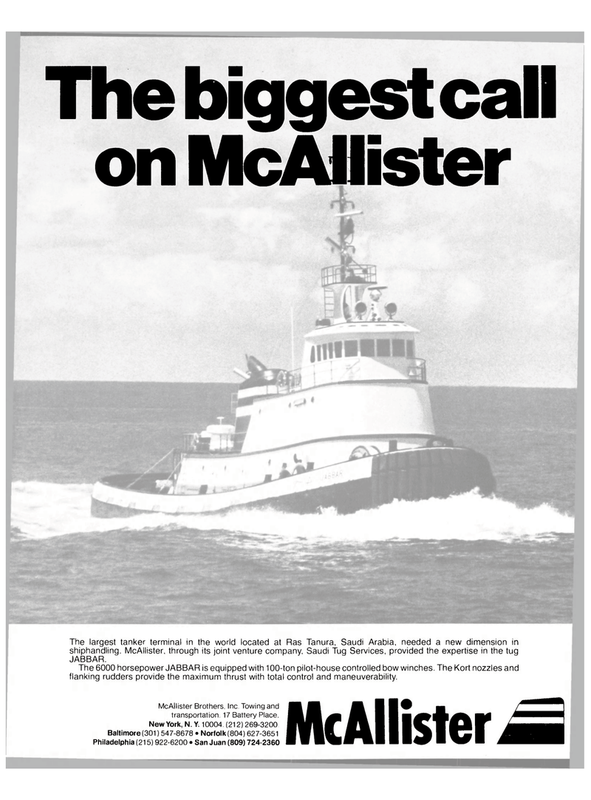 McAllister Brothers, Inc. Towing and transportation. 17 Battery Place.